United Launch Alliance announced an initiative that could facilitate future launches on the company’s rockets within three months of an order being placed – the fastest Order-to-Launch Service in the industry, hoped to give the Colorado-based company an edge in the competitive launch market. 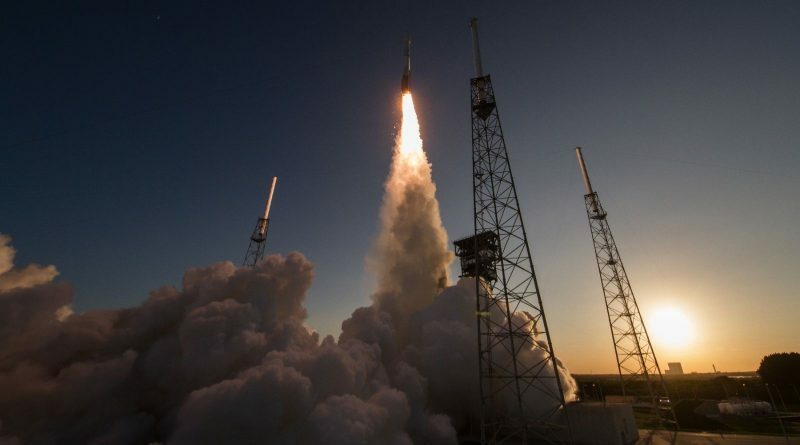 This offer takes advantage of experience gathered by ULA in the operation of its launch vehicle fleet, having now logged 111 flights with primary mission success, also building on experience related to the integration of spacecraft and their specific mission needs. According to ULA, the company has free slots in 2017 that could be used by customers that need their satellites launched on short notice. A number of satellites are currently facing uncertain schedules after a close call with the Russian Proton-M in June and the dramatic explosion of SpaceX’s Falcon 9 on September 1. Operators may decide to opt out of their existing contracts to look for launch opportunities in the near future. ULA’s biggest selling point – aside from its reliability record – is the company’s schedule certainty that, at present, is only paralleled by Arianespace and its fleet of rockets. SpaceX, to date, was not able to launch missions on time as the company required additional time establishing a steady launch rate and suffered two long-duration stand-downs due to vehicle failures. The other competitor, Proton, while having slots open on its near-term manifest, has also suffered from delays caused by the rocket’s reliability issues. International Launch Services, commercial operator of Russia’s Proton rocket, presented two new variants for the launch of small- and medium satellites and also noted that a Proton can be ready for liftoff nine months after the launch is ordered from ILS. ULA’s three-month order-to-launch service would be unprecedented in the industry. ULA also explained that it would afford customers the opportunity to have their payloads assigned as backup to an earlier launch so that in case that mission encounters a payload-related delay, the customers could be moved up in the manifest. To be able to offer additional launchers, ULA reinforced its production line in Decatur, Alabama and shifted the modification of any particular launch vehicle for a specific mission to the last three months of production. 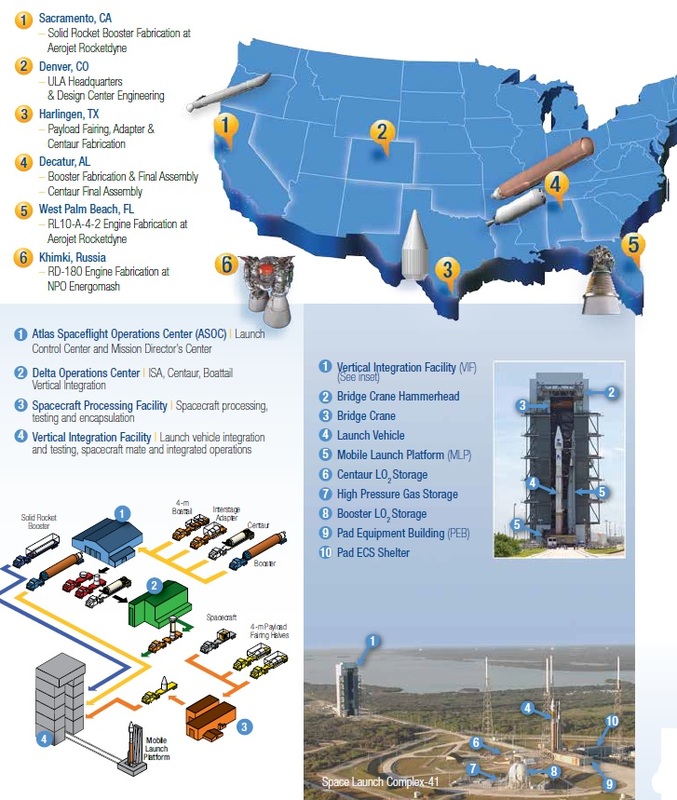 The company spent the last several years streamlining all aspects of the Atlas V production, mission integration and launch vehicle processing flow. As Atlas V matured, ULA was able to cut the time-consuming Wet Dress Rehearsal from the launch campaign and only conducts the test for missions with narrow launch windows where schedule assurance is of the greatest importance. Also, the assembly of the Atlas is now performed in a matter of days instead of taking the better part of a month like in the old days, in part made possible by pre-integration of the Centaur upper stage with its various adapters and rolling it to the launch complex in a vertical configuration. Increasing manufacturing capability and cutting time from the on-pad flow will enable ULA to launch a greater number of missions per calendar year including such manifested in the shortest period of time. While not explicitly stated by ULA, the new offer likely applies only to satellites with standardized buses typically used by commercial communications satellites as well as a handful government programs. 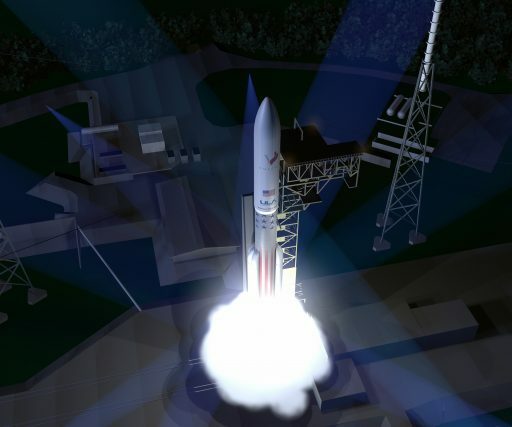 Vulcan – ULA’s future workhorse rocket – is likely to be designed from the ground up to support a rapid order-to-launch capability, enabling the company to continue playing its strengths in a competitive commercial launch market. Vulcan, still looking at a maiden launch before the end of the decade, is coming up on a number of development milestones. First and foremost, ULA will have to commit to an engine that will power its upcoming rocket, a decision expected in the coming months. Blue Origin’s BE-4 engine has been chosen as the primary option, but ULA kept the door open to possibly opt for Aerojet-Rocketdyne’s AR-1 engine should BE-4 encounter any significant development problems. ULA is interested in keeping up a steady stream of contracts from satellite operators as the company relies on its business to fund the development of the Vulcan rocket. While ULA still holds the monopoly for launches of heavy national security payloads, the company now faces SpaceX on a regular basis in competitions for U.S. government satellites that fall within the range of the Falcon 9. SpaceX won its first contract for the launch of a high-profile military payload earlier this year when the U.S. Air Force chose the Falcon 9 for the launch of the GPS-3-2 navigation satellite in 2018. However, ULA sat out this particular competition due issues that are now considered solved. Bids for a similar GPS launch contract are due on September 19 and both ULA and SpaceX are expected to submit proposals for the mission, marking their first head-to-head face off as the Air Force has to decide between SpaceX’s competitive price and ULA’s schedule assurance and reliability record. 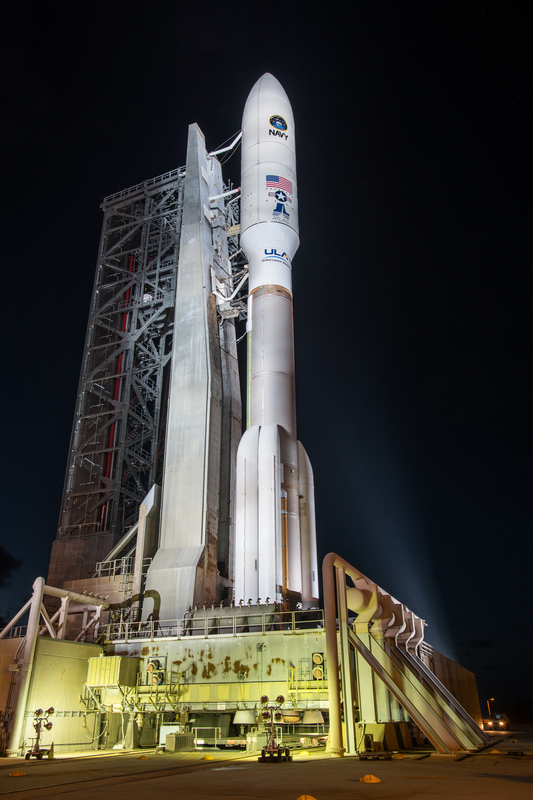 While having a steady income from government missions, ULA hopes to gain additional footing in the commercial market and Tuesday’s announcement further supports the company’s aspirations to appeal to commercial operators. 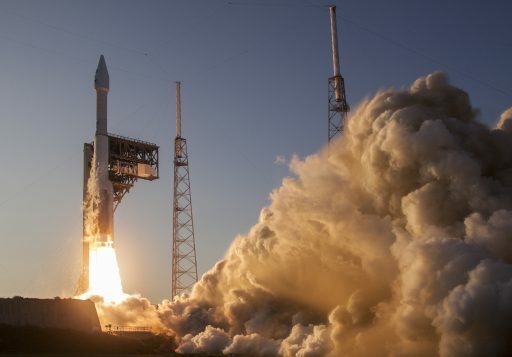 A pair of commercial Atlas V launches are on tap in 2016 and slots are available in 2017 and 18, according to ULA.